Discover fascinating and luring places in India. We design tour packages giving great care to every minute detail. Join hands with us to have a great trip. In India, we take you to various places such as Kerala, Goa, Shimla, Manali, J&K, Rajasthan and many more. 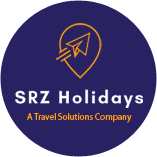 Our international tours includes places such as Dubai, Singapore, Malaysia, Bangkok, Sri Lanka, Maldives, Mauritius, Switzerland and various other parts of the globe. We cater to a large list of clients in Hyderabad (Telangana) and various parts of India. This has helped us to earn a great name in the market.